A new slate of commissions from the BBC includes documentaries centred on the youth of Redcar and white working class men in Manchester. 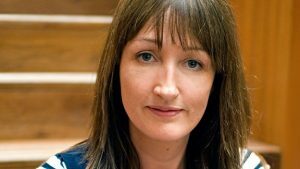 Clare Sillery, BBC Head of Commissioning, Documentaries, has announced a wide range of new films ahead of her appearance at the Sheffield Documentary Festival. Redcar, named after the North Yorkshire town in which it is filmed, is a 3x60 series for BBC Two and is being made by Mark Raphael, John Douglas and Daniel Dewsbury at 72 Films. It will ask what family, community and home mean to a generation of youngsters as they approach the threshold and responsibilities of adulthood. "By following the young people of the town along with their families and friends, the documentary will explore a community with natural warmth and honesty and capture the real-life stories of a British town through the people it is relying on for its future," the BBC added. Meanwhile, Britain’s Forgotten Men for BBC Three is a 6x15 series directed by Damian Kavanagh (KKK: The Fight For White Supremacy, Black Power: America’s Armed Resistance). He spent a year on the fringes of Manchester in some of Britain's most deprived estates. As well as "anger, resentment and frustration", he finds a spirit of camaraderie among the estates that are fighting to stay above water. Sillery said the new films - among a number of new commissions - will "take us right to heart of the cultural shifts happening in Britain today".